Though several of the genes causing HPS have been identified there are still thought to be several that have not been found. For this reason, it is premature to genetically test for HPS. The standard for the differential diagnosis remains testing for the platelet defect. 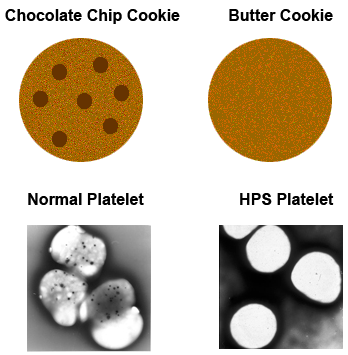 Viewing prepared platelets under the electron microscope is the definitive diagnostic test for HPS at this time; however, commercial genetic testing is available in limited cases. Since all the genetic variants of HPS have not been identified as of yet, diagnosis through molecular analysis is not comprehensive. Contact the HPS Network if more information or assistance is needed.